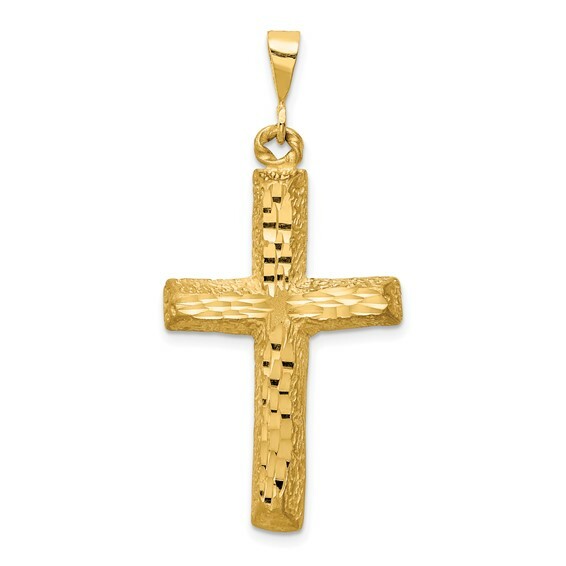 Diamond-cut textured cross is made of solid, polished 14k yellow gold. Open back. Item measures 7/8 inch wide by 1 1/4 inch tall without loop and bail. Weight: 3.75 grams. Bail dimensions: 4.5mm x 2.6mm. We recommend a chain no wider than 2.25mm. Made in the USA.